The world of architecture has shaped history and defined societies since the dawn of mankind. Architects were, and still are, looked upon as those who design and plan the world we live in. As civilizations rise and fall, they don’t entirely fade from existence: their architecture still lives to tell their story. In fact, architecture serves as the expression, the visual proof, of the progress of mankind and the advancement of technology through centuries. It represents the thoughts, emotions and values that defined those societies throughout history. Architecture also always straddled the line between science and art, and between the practical and the whimsy. But, there are always challenges: challenges architects have to contend with in a world that’s constantly transitioning and redefining itself. As the millennial generation begins their foray into the world of architecture, there appears to be a growing chasm between them and the previous generations of architects. This chasm is a result of the seeming unwillingness and resentment on either side to acknowledge and work with the other. On one hand, it’s the reluctance of the older generation to readily part with or share their years of experience with the younger generations. On the other, the digital generation are unaware of the value that they can gain from the experience and relationships fostered by those who were here before them. Architects of all ages need to find common ground: the baby-boomers and gen-X’ers carry a wealth of knowledge and experience that can only be augmented and supplemented by skills that millennials bring to the table. Keeping with the point from before, with technological advances coming in at high speeds, architectural firms have to do their best to stay on top of everything or risk losing their hold in the market. But, new hardware and design tools require extensive training and periods of transitions and adjustment, before they can be used effectively both in the office and the construction sites. Likewise, with the advent of the mobile age, there has been an influx of architecture apps for drawing, project-management, and design. Firms, particularly older ones, will have to come to grips with these to be able to withstand competition. With major changes such as land shortage, regulatory restrictions and increased competition limiting their influence, local architects find themselves losing their clients out to third-party international firms. The limits placed by time and budgetary concerns leads to procurement processes that can be risky, since no time is spent on carefully researching and evaluating options before arriving at a final solution. Steps need to be taken to ensure that local architecture firms understand the changing needs of clients, and are able to convey their value to their clients effectively and, at the same time, push their governments to give them the required leeway to gain an advantage over procured firms. Most major design firms like Arup, WSP, Meinhardt and others have been formed as a result of a consolidation of multiple services and markets. As they capture and control new markets and domains, the need for a diverse skillsets and expertise within those enterprises leads to the acquisition and formation of in-house teams for those skillsets. Development firms like those mentioned above, therefore, develop their own in-house architectural design teams. Standalone architectural companies in these markets, therefore, stand to lose out to these market conglomerates. Local companies need to up their game by honing and increasing the quality and effectiveness of their own services and expertise. This can also lead to acquisitions by bigger firms, down the line. Architects assume the lead design role in any project with the responsibility of ensuring that their client’s brief is fulfilled and that the quality of the design is maintained throughout the project. 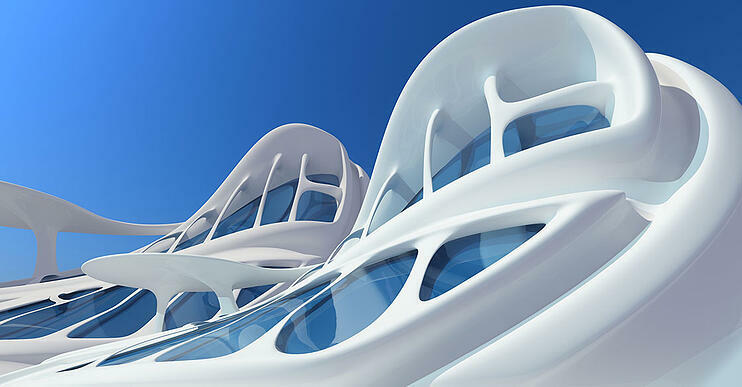 With virtual building modeling, architects generate the initial design of the building, and then progressively integrate sub-contractor designs and ideas. However, owing to the fact that contractors and subcontractors become involved in the process far earlier, owing to procurement package methods like PPP and D&C, there’s a growing need for architects to establish their role and influence in the project from the get-go. Additionally, the earlier involvement of contractors in a design project through procurement processes requires that the client’s brief is articulate and that the client is actively involved throughout the building process. Architects, therefore, need to work diligently with their clients to produce a brief that is flexible and robust, before beginning any work on it. The challenges dogging the world of architecture aren’t insurmountable. Solutions and policies need to be put in place to ensure the smooth transition from the old to the new without alienating any parties, and to ensure that architects have the agency to promote and expand their own services. Changes need to be made to risky procurement processes that will benefit architects, clients and contractors alike. These challenges architects face today will be dealt with, others will arise. The one constant challenge for architects throughout the ages is to keep up with trends in such way that they can offer something new before it has passed. Cover Glass USA. Three showrooms to serve professionals: Los Angeles, San Diego, Costa Mesa.